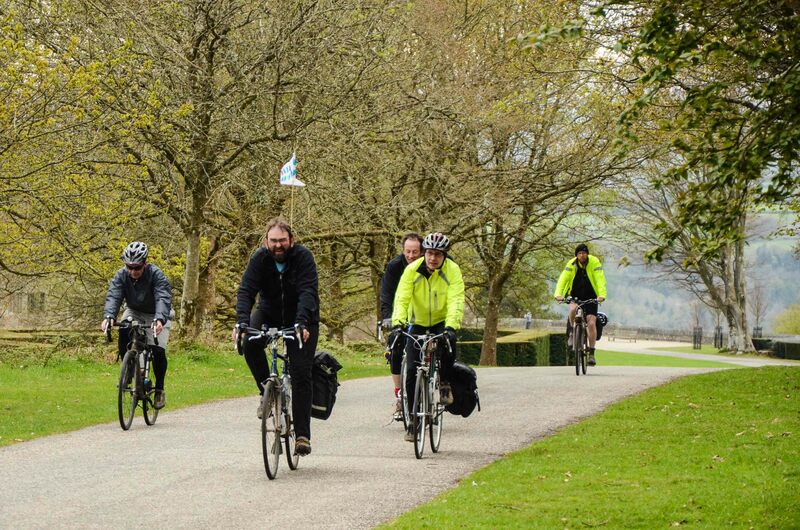 Our Regional Director, Mark Harold and some of his chums have embarked on what has been dubbed ‘The Cream Cake Challenge’ – a 750 mile cycle ride over 12 days visiting a load of National Trust properties along the way. This endurance event is raising money for the Prostate Cancer Charity and the National Trust Outdoor programme. See here for details. This is an epic adventure! I am a 70.3 Ironman Triathlete and a 10 Tors Manager – so I am familiar with endurance events, bad weather and suffering but nevertheless I take my hat off to the intrepid team. In Iberian weather conditions this would be a pleasant challenge which would defeat most folk but just think back to the weather over the last 10 days …. would you have liked to have cycled 70 miles in the weather that was the apocalypse of two Sundays ago? I certainly wouldn’t – but they did. 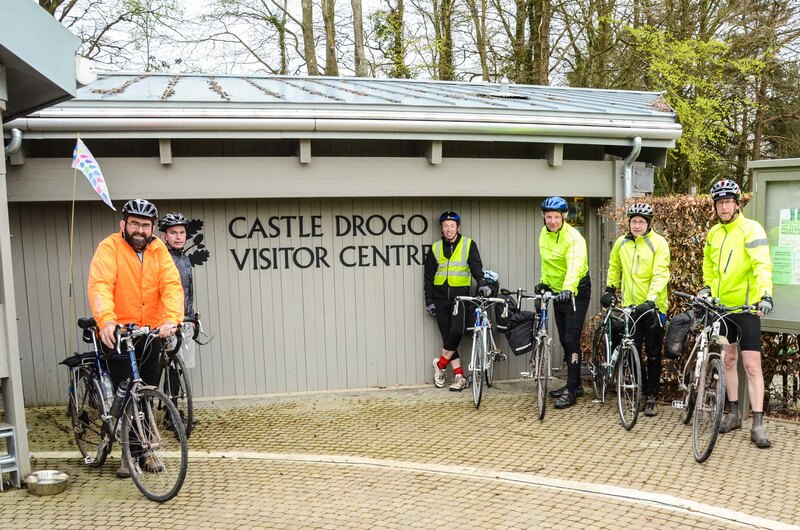 Last Saturday the team passed through Castle Drogo – I met up with them there – they were in good spirits and were a close team of mates – very uplifting. I took a few snap shots which I share with your now. These guys need our support – and this is how to give it – press here! Back up from Castle Drogo to the visitor centre where cake awaited! 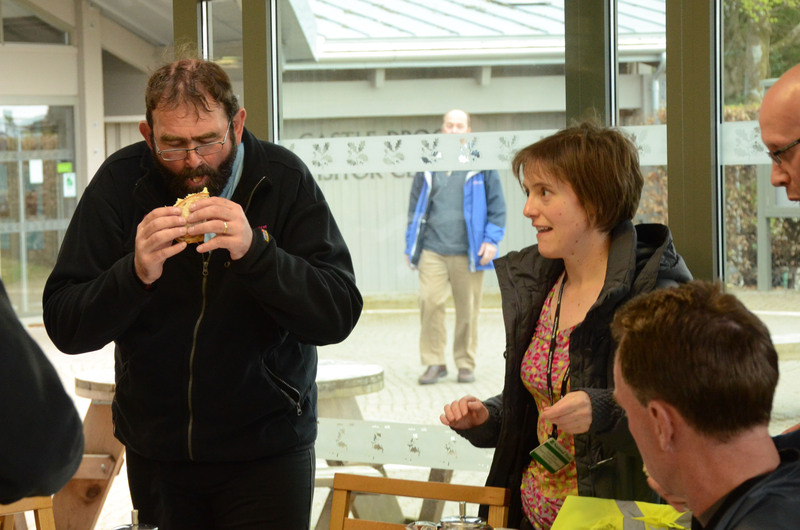 Mark demolishes a sandwich to the amazement of Bryher Mason (Drogo House & Collection Manager) and other onlookers! Fuelled up on sandwiches, cakes, cream teas and flapjack the team pose for a departure photo. 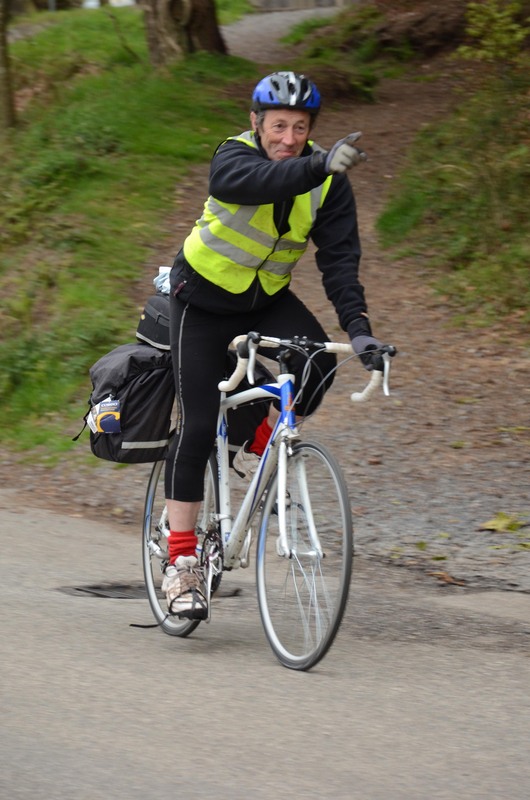 Follow Mark on his cycle ride on the his blog – which also covers the meaty issues of being our Regional Director!